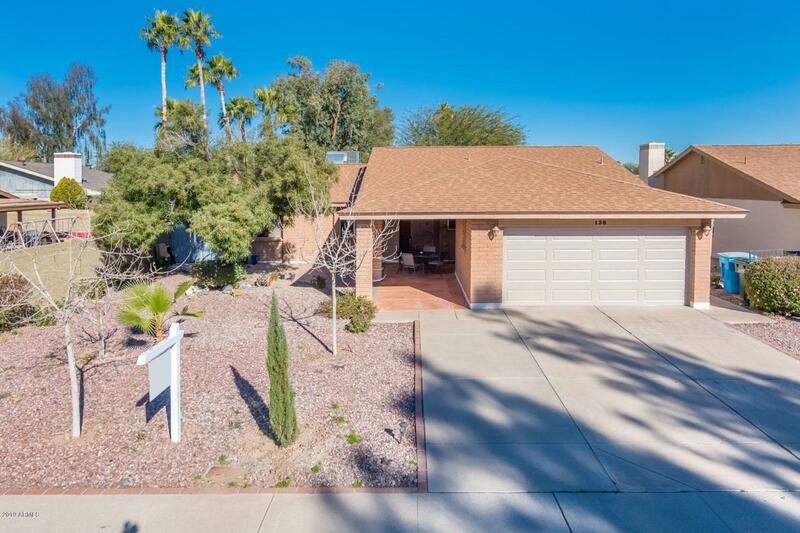 You will love this 3 Bedroom 2 bath, 2 car garage home in popular North Phoenix Area, with No HOA. Newly Remodeled kitchen with granite counter-tops , new faucet and tile backsplash. Custom made stone tv media center in living room. Spacious master bedroom has tile wood flooring, walk in closet and beautiful remodeled bathroom with granite counter, tiled shower, and backsplash. Desert landscape back and front for easy maintenance with areas covered with stamped concrete mimic flagstone. MOVE IN READY. Convenient to freeways and shopping. Must see. Listing courtesy of Basin Capital Properties.